At AcuVision Family Optometry in Whittier, CA, our mission is to provide a personalized eye care experience that focuses on the specific needs and challenges of your eyes. Our dedication to honest and ethical service is why so many Whittier residents entrust their eyecare to us. In fact, many loyal patients enthusiastically refer their friends and family from surrounding cities such as Downey, Cerritos, La Habra, Pico Rivera, Montebello, El Monte, Rowland Heights, Hacienda Heights and La Puente. 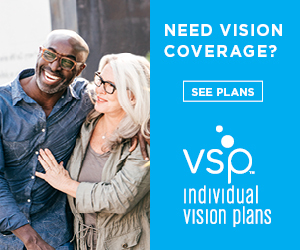 AcuVision eye doctors are licensed optometrists who are credentialed on major vision insurance plans such as VSP (Vision Service Plan), Eyemed, And MES (Medical Eye Services). Dr. Eddie Wang provides comprehensive vision and eye health exams, LASIK surgery consultations, as well as manage and treat various eye conditions such as blurry vision, focusing problems, dry eyes, burning eyes, itchy eyes, red eyes, tired eyes, cataracts, glaucoma, floaters, and other ocular health diseases. AcuVision also provides prescription eyeglasses, reading glasses, progressive lenses, sunglasses, sports goggles, safety eyewear, color and disposable contact lenses, and hybrid contact lens technology. Our office is equipped with computerized equipment as well as the latest frame styles from designers such as Chloe, Dolce & Gabbana, Gucci, Jimmy Choo, Kate Spade, Oakley, Prada, Ray-Ban, TC Charton, Tom Ford, and more! When you visit our office you will be greeted by friendly and knowledgeable staff. Feel free to contact us if you have ANY questions about your vision, glasses, contacts, insurance, refractive surgery and/or any general questions about your eyes - we would love to help and hear from you!